Even if you've purchased one of the worst cuts of meat, you can still produce a tender, flavourful meal. By incorporating smoke into the cut of meat, poultry, or fish, you unlock all the senses during mealtime. And, you can do the same with vegetables, fruits, egg dishes and so much more! Our wood chunks are consistent in sizing that makes them ideal for smoking. Our woods, after splitting, have approximately 20-30% moisture content. However, you can pre-soak the chunks in the liquid of your choice, if desired. These woods are intended to create smoke, not fire. Please store your unused wood in a cool, dry location. For your convenience, we offer two sizes of our select SmokinLicious Gourmet Wood Chunks. Please remember to note your wood selections in the order cart. 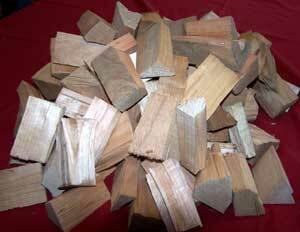 "Just like to say thank you for the great wood chunks that I have purchased from you. 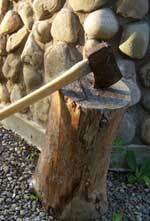 I have purchased sugar maple wood chunks from you twice and have achieved great success smoking meat with it. The chunks burn for a long time and add an excellent taste to the meat. Your chunks have come to me in a consistent size, just perfect for smoking, and the wood was very clean!!!!! Keep up the great job."